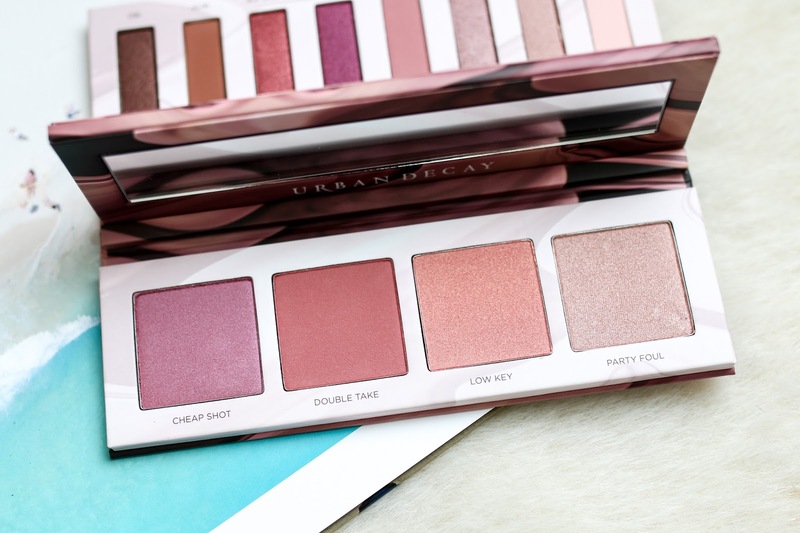 Urban Decay recently released their Backtalk palette, a new rosy hued eye and cheek palette. Even though many of us probably have more makeup palettes than we could ever need, a new release will always be intriguing. 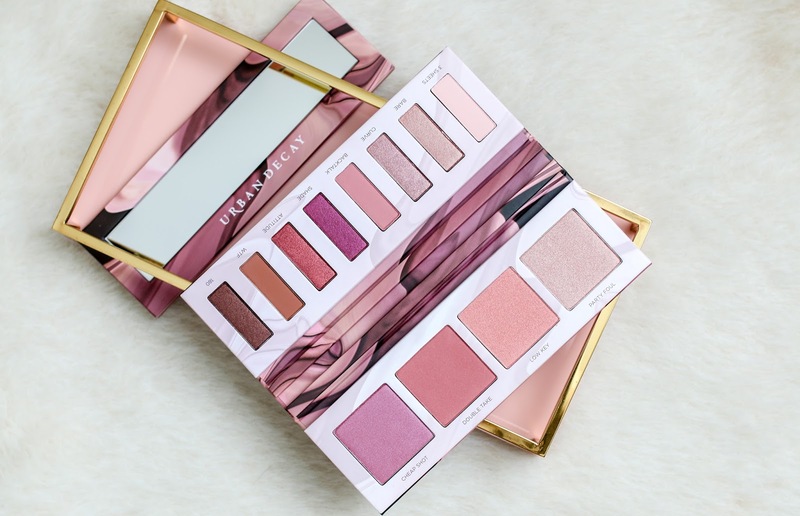 From the initial packaging, this palette looked like a winner to me. And there is a removable mirror inside which I thought was a great added bonus. 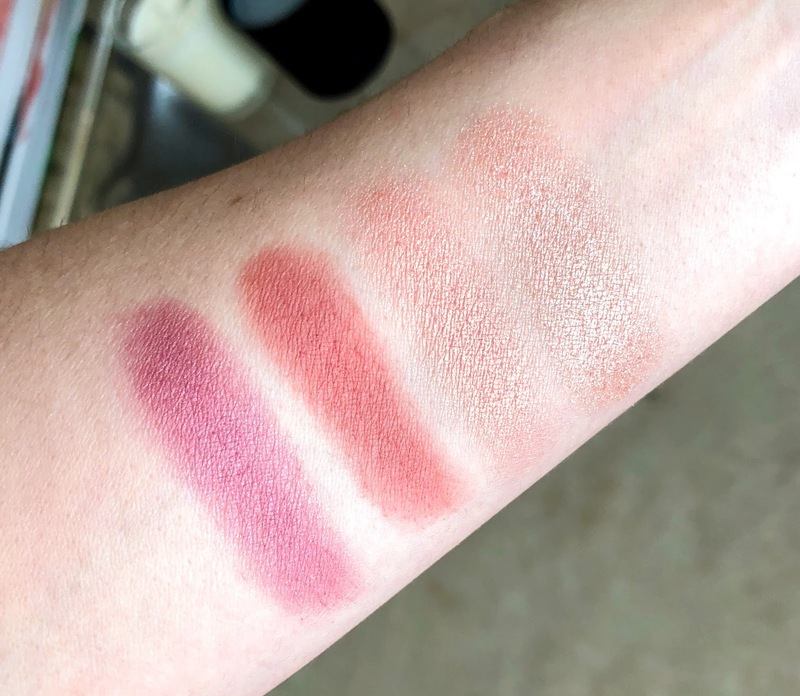 As you can see from the closer images above, the texture for the shadows is a mix of shimmer and matte with a majority of the colors skewing to the redder/pinker/warmer side of the spectrum. However for me these are not wearable colors at all. I don't prefer red/pink shadows and even the paler shades in the palette were not enough to make up for it. 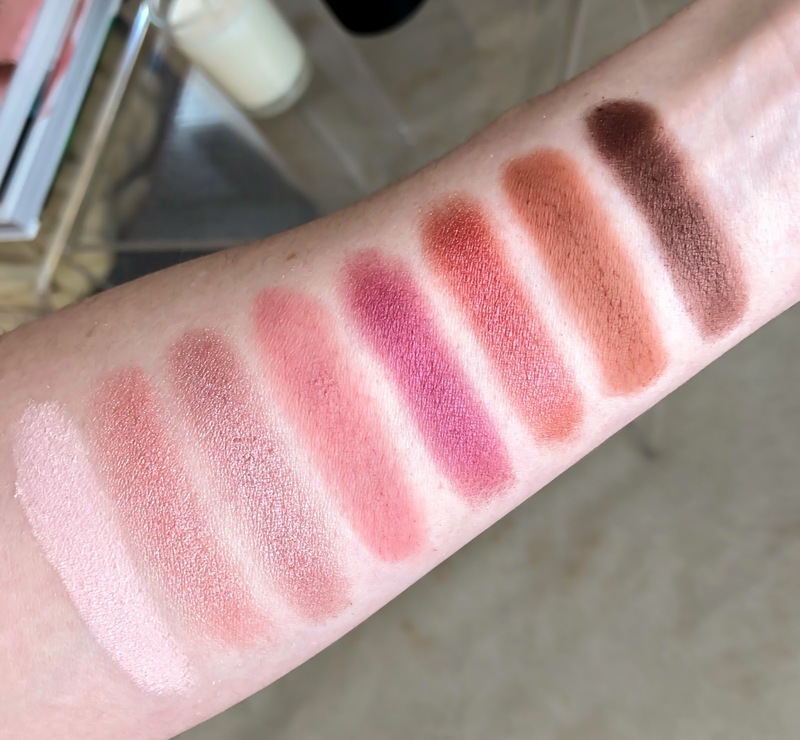 The pigmentation was all over the place with this palette - some shimmer shades were smooth, some were very chunky and nearly impossible to get an even swatch, while the matte shades were heavily pigmented and rich. I applied 5-6 swatches of many of the lighter colors to get an even application and when I tested the palette on my eyes, I found there was a bit too much fallout and I couldn't get as smooth of a look as I would like. The cheek colors were not suitable for my skin tone and even when used with a light hand, they were still too dark for me. The highlighter shades were chunky and way too powdery making them very unflattering when on the cheekbones. Overall this palette was a disappointment for me. 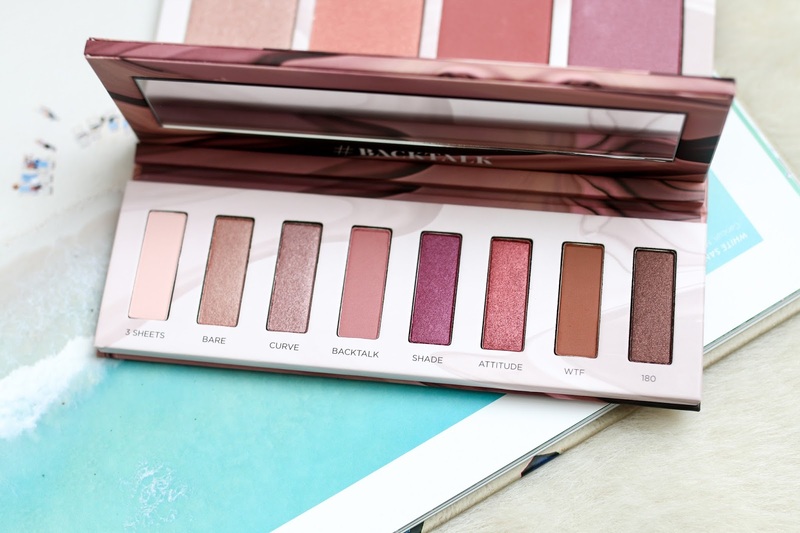 The packaging is beautiful but the pigmentation is too inconsistent and the colors are not something that works with my skin tone nor would it be suitable for everyday wear. Oh wow these look so pigmented!